A coffee-lover’s must-have. 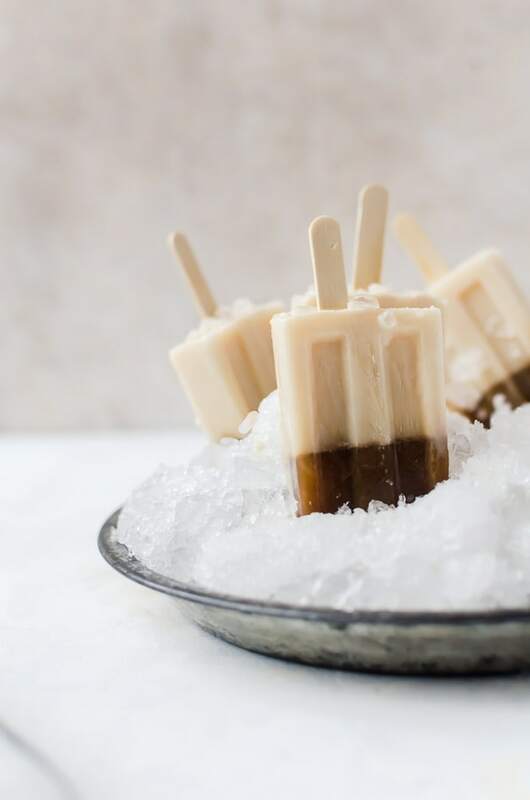 These caramel macchiato popsicles are a delicious way to switch up your morning ritual or afternoon pick-me-up! This post has been sponsored by the J.M. Smucker Company. All thoughts and opinions are my own. I’ve got a strange relationship with coffee. I don’t have it too often and I can’t stand most coffee. If it’s not amazing, I just can’t drink it. I don’t even want to be around it. Maybe that makes me a coffee snob? I just feel like it’s the same thing with food. 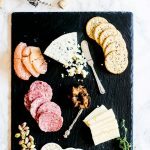 If it’s not delicious, why bother with it? 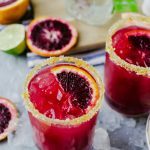 I do go through periods of time when I do drink a lot of coffee, and I especially love using it in different ways. Coffee in forms that aren’t just in a cup makes me happy, just like these caramel macchiato popsicles. One way I do enjoy my coffee is a cold brew. I love the smooth, rich flavor it has over traditionally brewed coffee. It also makes whipping up these caramel macchiato popsicles faster since the coffee is already cold. 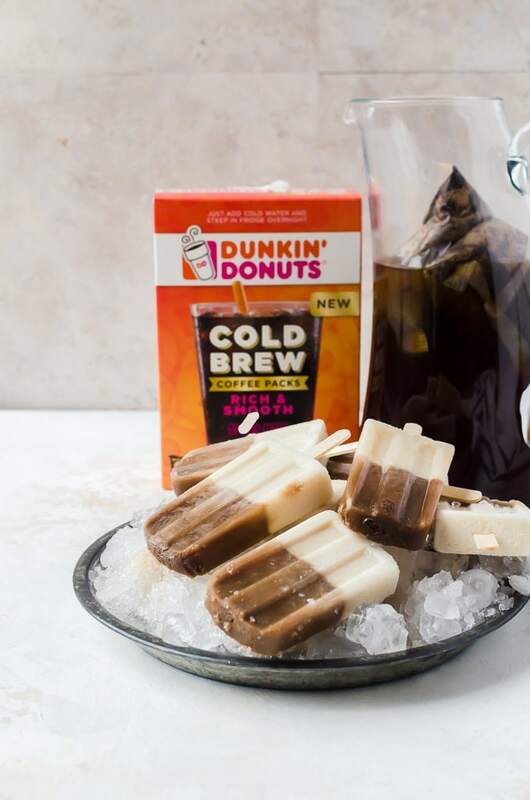 I used to make cold brew the old-fashioned way, but when I heard about the Dunkin' Donuts ® Cold Brew Coffee Packs being sold at Target, I wanted to try them to see if made my preparation easier. It did! With these cold brew packs, you simply dunk the packs into cold water and let it steep overnight. After that, you remove them, then add more cold water. It couldn’t be easier, and it makes a ton of cold brew to keep you going through the week. 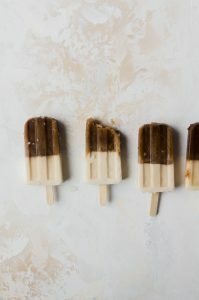 Or to make batch after batch of these caramel macchiato popsicles. Or both. There is enough to do both, and that fact is the best fact of all. The overall concept makes it so easy to have quality coffee at home between trips out to grab your coffee so you don’t have to worry about bedhead first thing in the morning. Of course, during the warmer months, it’s so much more fun to switch it up and use your cold brew creatively. And it’s still just as simple as the whole cold brew making process. First you take some of your Dunkin’ Donuts Cold Brew and stir in a bit of caramel (I actually love using salted caramel!! ), then freeze in your popsicle molds. Then stir in a bit more caramel into your milk layer and pour that over your frozen coffee and freeze again. In the morning, you can have your coffee and eat it, too! 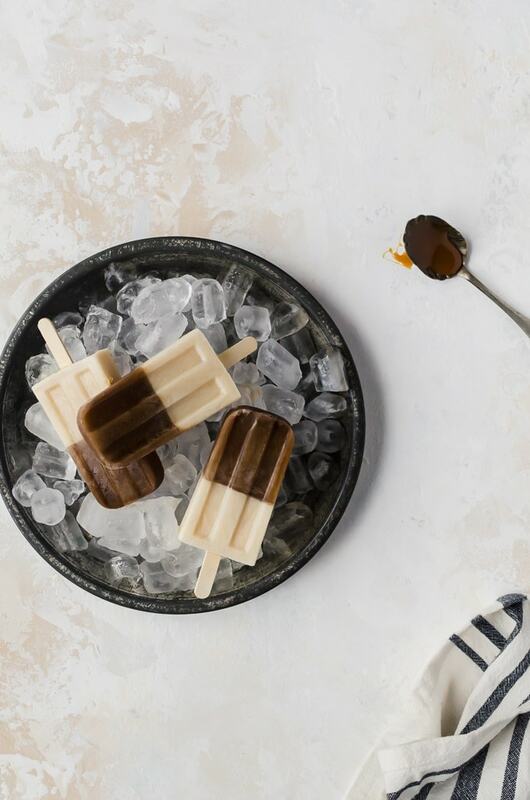 If you want to get a little more creative with your caramel macchiato popsicles, you can add a light drizzle of caramel over the popsicles. 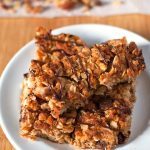 Simply add your drizzle, then place the popsicles on a baking sheet and refreeze for about 10 minutes longer so the caramel may set and not get all drippy as you eat. Add the Dunkin Donuts Cold Brew Coffee packs pouch into a pitcher with four cups of water. Steep for at least 8 hours, or overnight. Remove coffee packs and discard. Add 3 cups of cold water. Take 1 1/2 cups of the cold brew and stir in 1 1/2 tablespoons caramel sauce. Evenly divide the coffee among your popsicle molds. Freeze the coffee for about 3 – 4 hours, then insert popsicle sticks in the middle. Add the milk and remaining caramel (add more or less according to taste) together in a bowl, stirring well to combined. Pour the milk mixture into the molds and freeze until solid. About another 3 – 4 hours. Want more coffee? You can check out more Dunkin’ Donuts recipes you can make right at home here. And don’t forget to use this Target cartwheel offer when you pick up your Dunkin’ Donuts Cold Brew in the coffee aisle at Target!